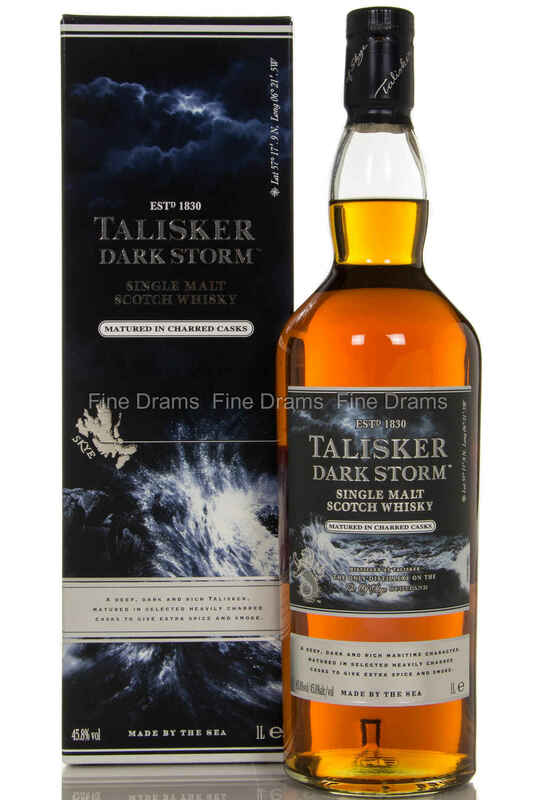 A big bottle of Talisker Dark Storm, the even smokier rendition of Talisker’s peaty spirit. This was first released for the retail market. This bottling from the Skye distillery sees the whisky matured in heavily charred oak barrels, granting the spirit an oakier, smokier character, which emphasizes Talisker’s spicy peaty whisky. All the classic Talisker notes are here: white pepper, citrus rind, maritime peat and sea spray, but they are joined by flavours of stone fruit, salted caramel, charred oak, cinnamon and vanilla cream. A hugely flavoursome whisky, and a great addition to the veritable old distillery’s stable.